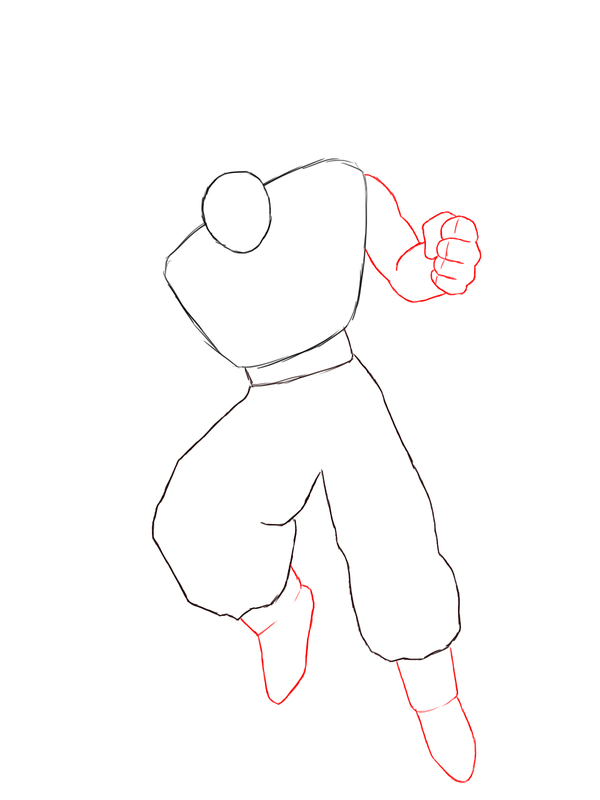 Today I will be fulfilling another reader request– we’ll be learning how to draw Goku, from the Dragonball anime series. Goku is a very popular figure in both America and Japan. I’ve gotten this request in my inbox several times now, so let’s get started! 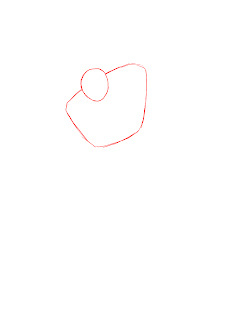 The first step to drawing Goku is to draw a small circle for his head, with a larger rectangle beneath it. This will be his head and chest respectively. Right beneath Goku’s upper body, draw a fairly small rectangle which will be his belt around his waist. 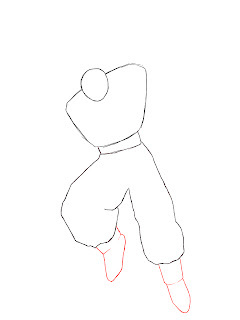 Underneath his belt, give Goku his legs, with his left leg curving outward just slightly. Draw in Goku’s boots. These are simple shoes without any laces or designs– similar to moccasins. 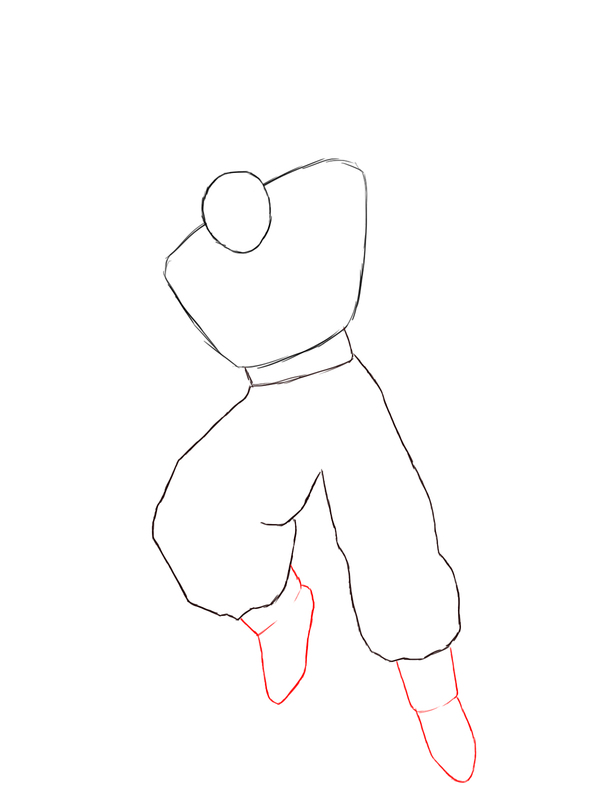 We are going to be drawing Goku’s arms held up close to his body. 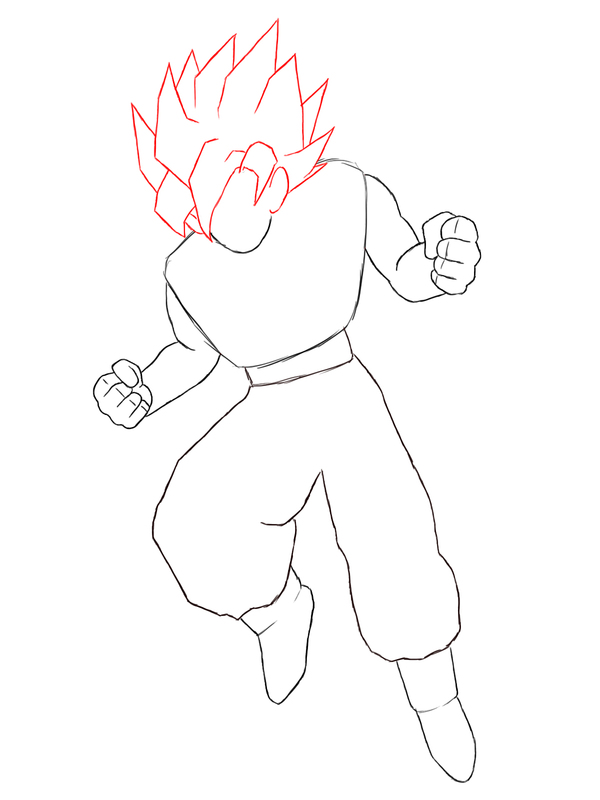 To give this effect, you will have to draw his arms just a little shorter than what would look normal. 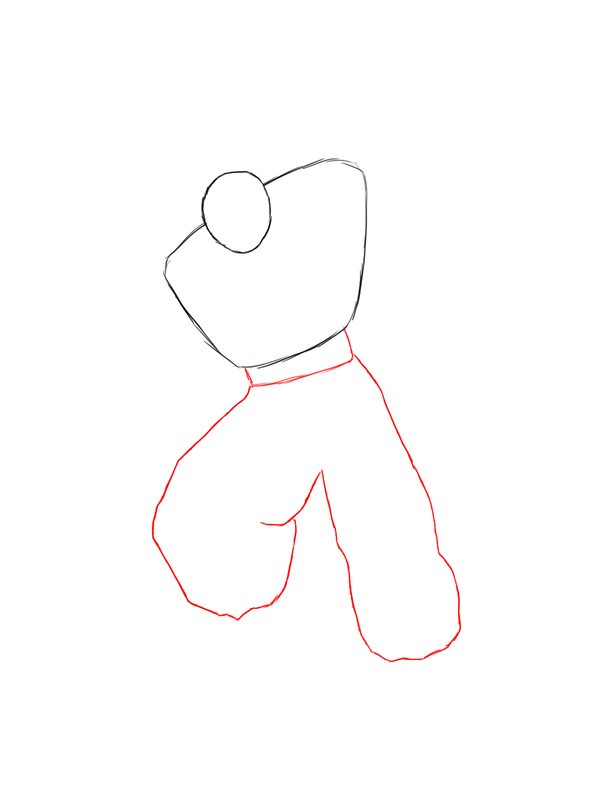 This will make his arms look like they are facing the viewer. 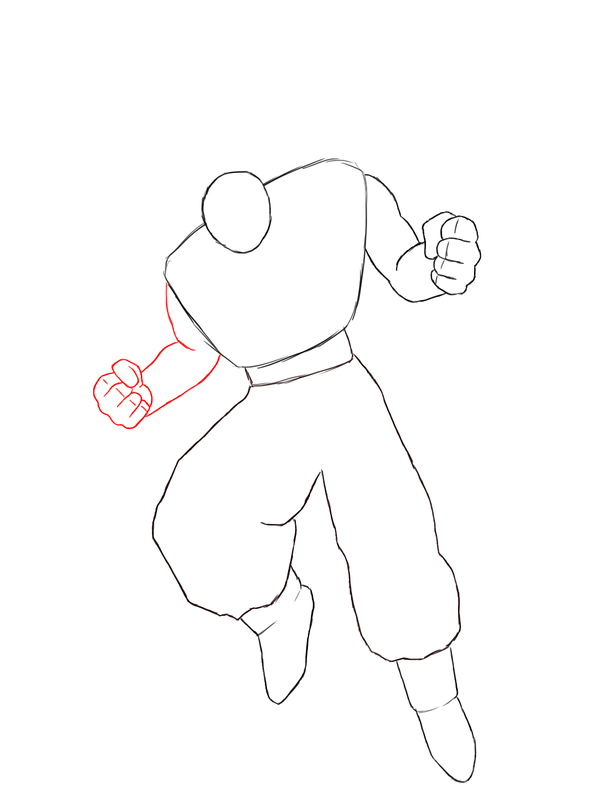 Repeat the same process with Goku’s other arm, only make it a little lower than the first arm. 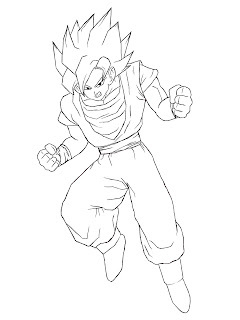 By far one of Goku’s most notable features is his extreme hair. 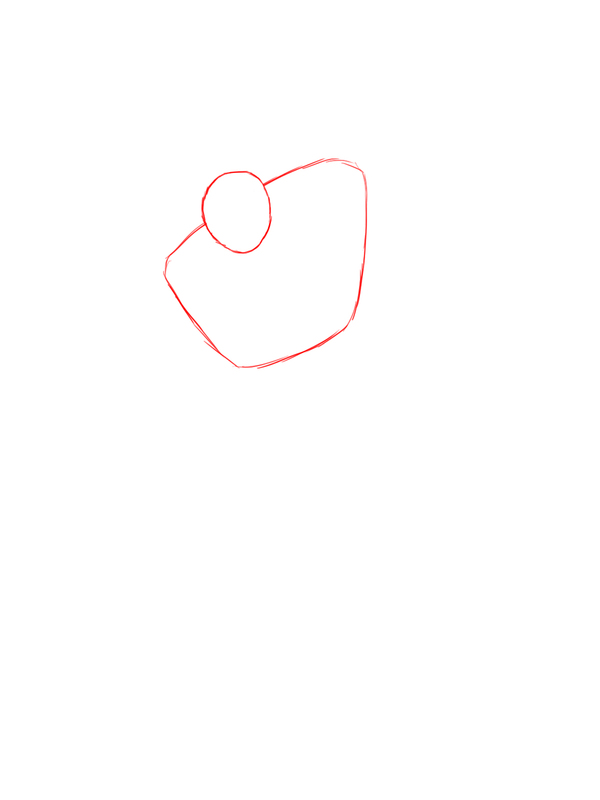 Draw this by making a bunch of jagged lines that all point upward and form a shape that almost looks like fire. 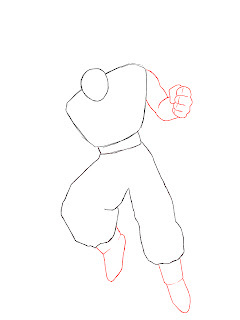 Since the body of Goku is pretty much done at this point, we can begin to draw in his clothes. 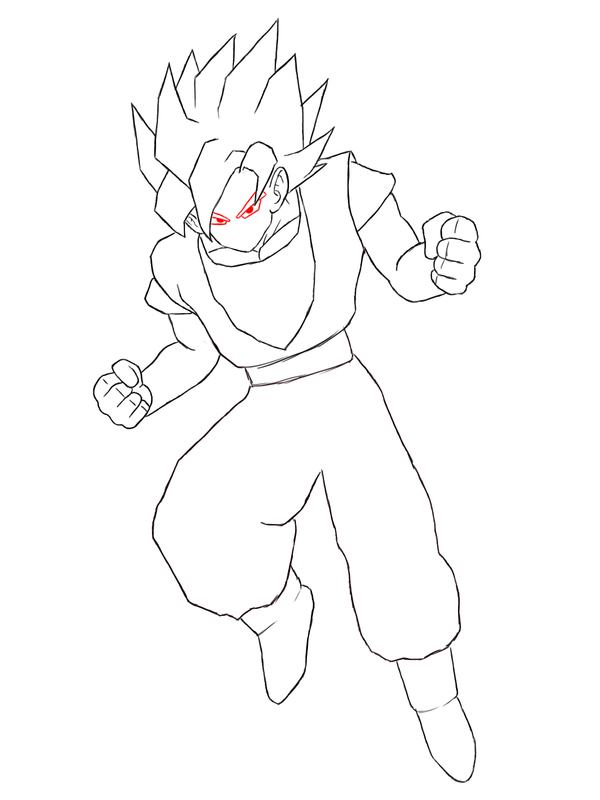 Goku usually wears a sort of tank top, with another t-shirt underneath it. 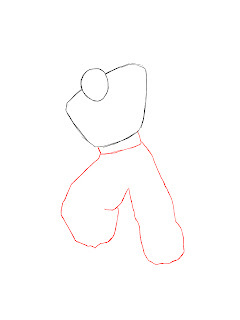 Make this by drawing a large “U” shape in the middle of his body, with another smaller “U” shape above it. This will give the illusion of him wearing two shirts. Draw in Goku’s angular eyes pointing downward, with his pupils sticking out just below his large eyebrows. As with most anime characters, Goku has simply a small triangle for a nose, with a very small rounded mouth. Draw a broken line that cuts across the center of his mouth to make it look like he is clenching his teeth. At this point, Goku is just about done. All that’s left to do is to add in a few finishing touches. 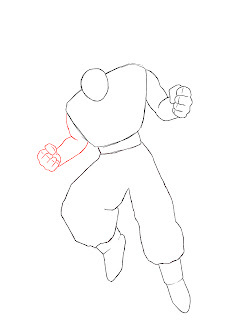 Draw in some lines around his body to give the effect of wrinkles in his clothes, and a few lines on his arms to simulate muscles. 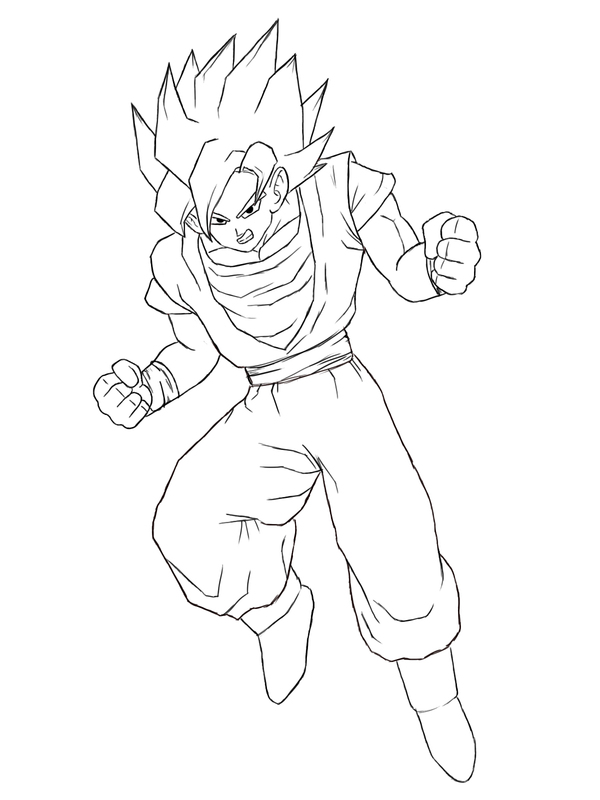 There you have it… Goku. I hope you’ve enjoyed this tutorial. Don’t forget to comment and like us on Facebook. Thanks everyone!